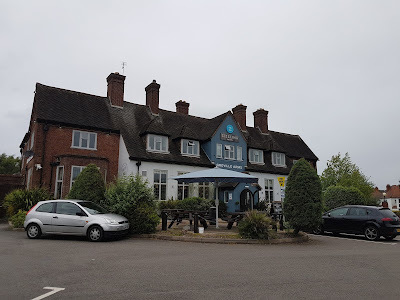 Greville Arms in Solihull - Just Good Pub Grub! 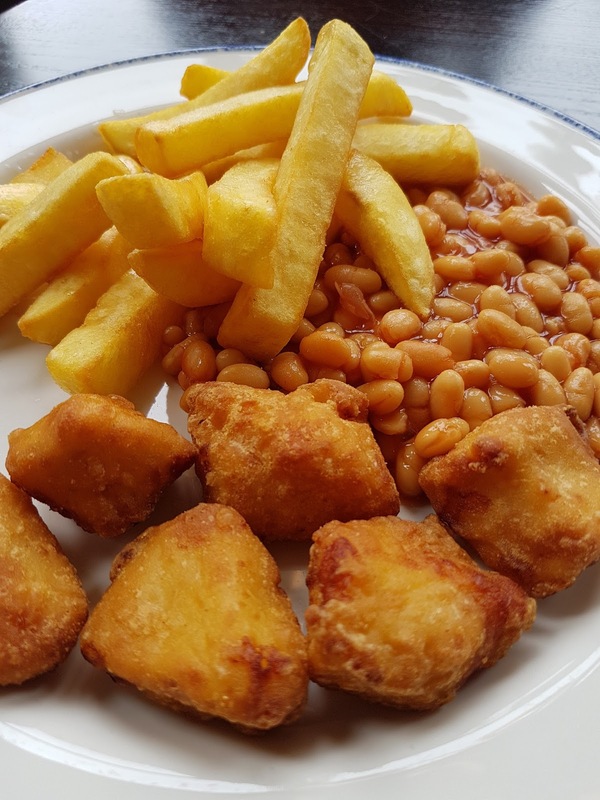 You can't beat a good family pub that serves up good pub grub. This weekend we headed out to Solihull to the newly reopened Greveille Arms following it's extensive refurbishment. 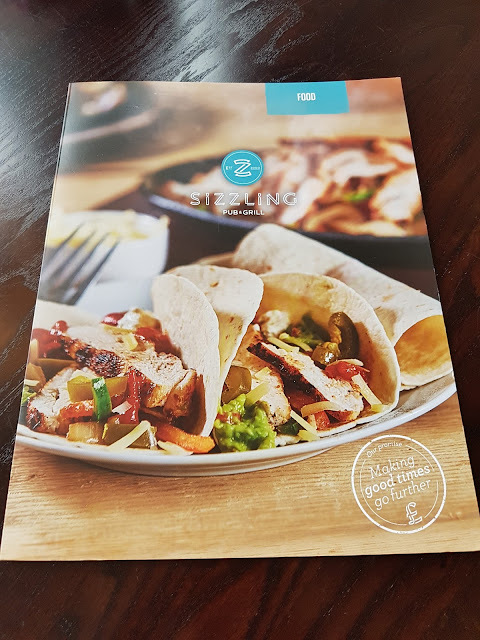 It's got a whole new look and new menu to match. 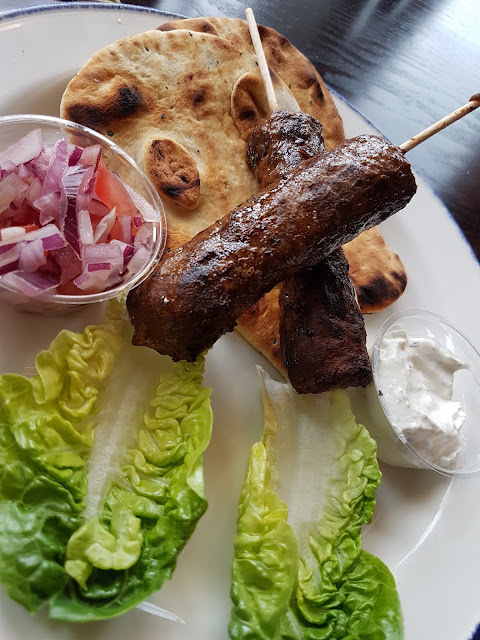 The Greville Arms is all about serving the people of Solihull and beyond, tasty dishes, freshly grilled at low prices that you'll love. We've not been before so it was all new to us but from the outside it's a very large building with it's own pay and display car park with lots of handy parking. There's lovely tables and benches outside for sunnier days and lots of open space around. It's just as lovely on the inside too, there's lots of small areas dotted about with dining table to eat at. There's some comfy booths one the one side and smaller tables for people wanting to chill out with a drink. It's a really large sized pub but it's made to feel quite homely and very comfortable. The pub was very quiet when we arrived at 12:30pm but soon filled up around us. By 1pm the pub was full of happy people and one thing I noticed was that the bar staff knew most of their customers by their first names which is always the first sign of a good friendly pub. We were seated at a lovely large round table for 6 in front of some beautiful bay windows. The Menu is large and filled with so many choices and offers and generally great deals. 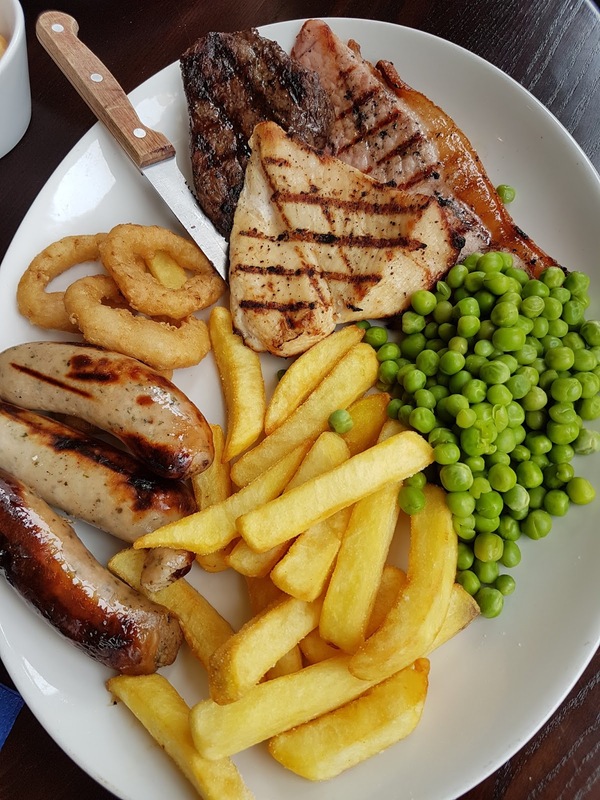 Being a Sizzling Pub & Grill, there's loads of grill options of yummy steaks and more. There was an offer on the Starters, any 3 for £8 which we happily went with. 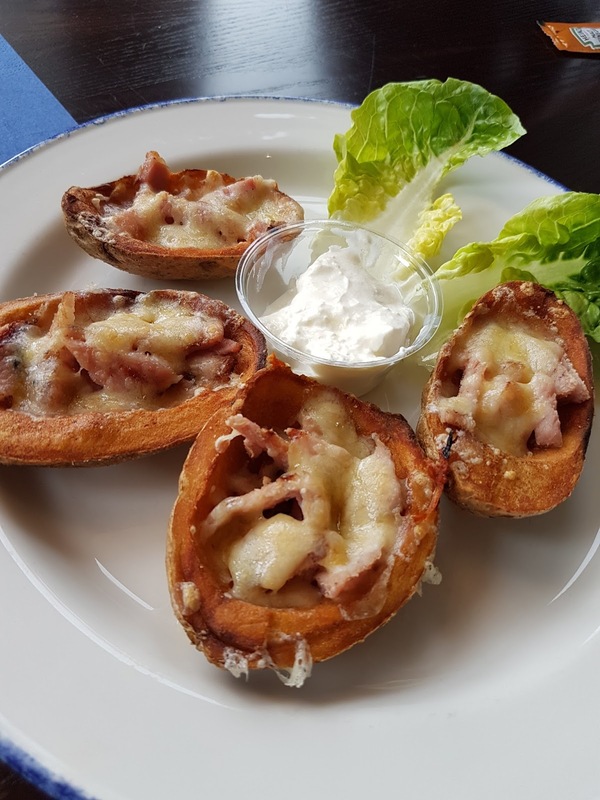 We went for the Potato Skins in Pulled Pork and Bacon and Cheese and the Lamb Kofta Kebabs too. Each one was cooked very well and came out displayed very prettily on their plates. 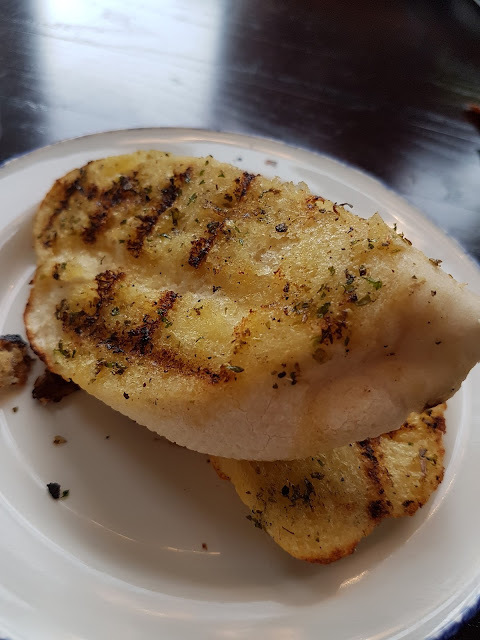 The kids went for the kids Garlic Bread Starters which were the perfect sized starters for them. 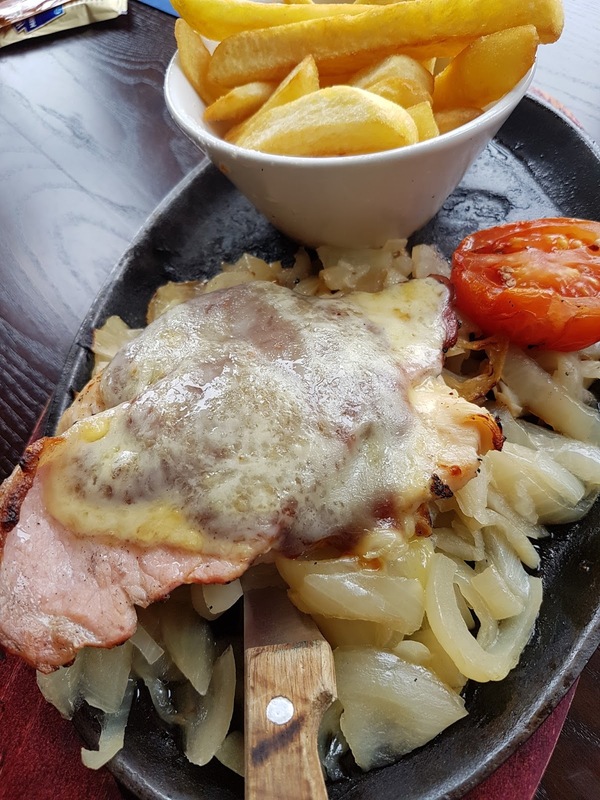 For our Mains we all went for something very different. I had the Chick-Tastic which was amazing and so big. It was delicious but sadly I didn't manage to eat it all as there was just too much. Daddy went for the Mega Mixed Grill which again he enjoyed. Chloe my eldest, who's 14 went for the BBQ Hunters Chicken with an added side of Mac and Cheese which she was super pleased with. The side of Mac and Cheese was only £2 which is much lower than most places but was a lovely sized dish full of yummy mac and cheese which she loved. 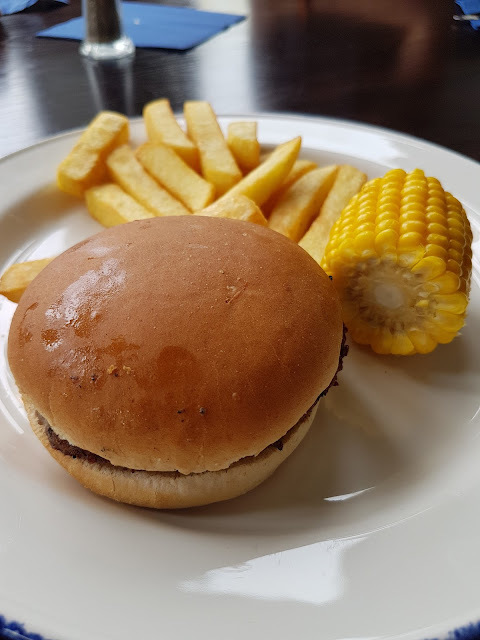 The younger two ordered of the children's menu, Ryan had the Chicken Nuggets (what a surprise) chips and beans whilst Lily had the 2oz burger, chips and corn on the cob. All the portion sizes were very good and the food was all cooked really well. 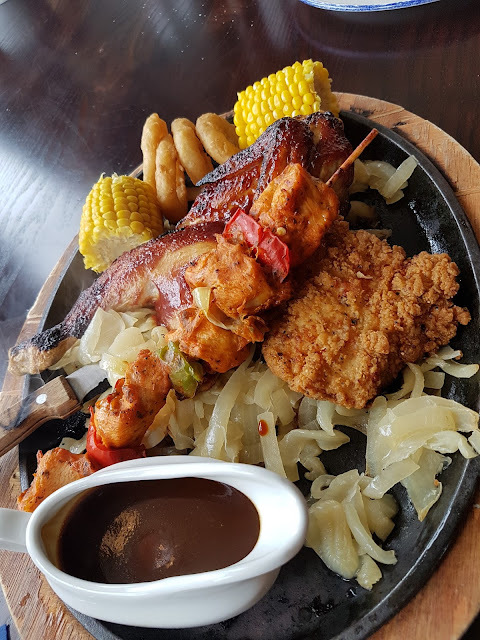 Nothing was over cooked or burnt and the staff were lovely, they popped over a few times to check in on us throughout our meal. 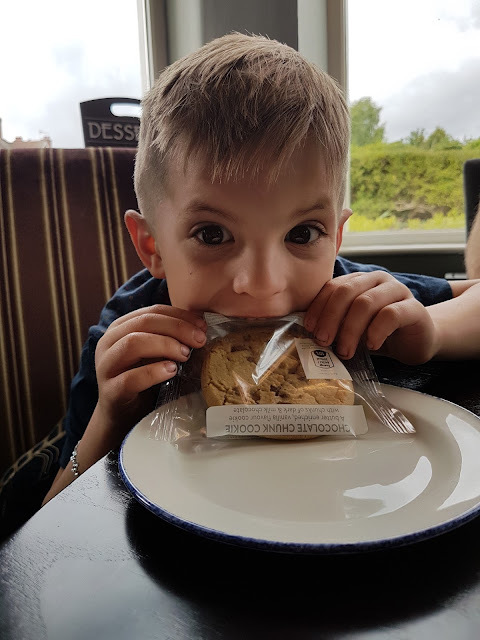 The kids meals were great value as you got their main, dessert and drink for just £4.50 and one thing that I really liked was the choice of children's drinks included a choice of lemonade or diet pepsi which most places don't. Normally it's just juice, water or milk so this was lovey touch as both my youngest like a glass of fizzy pop. All of the grown ups were full after dinner so didn't order any desserts although the Specials Board was very tempting. Lily and Ryan did have a dessert though and enjoyed it very much. 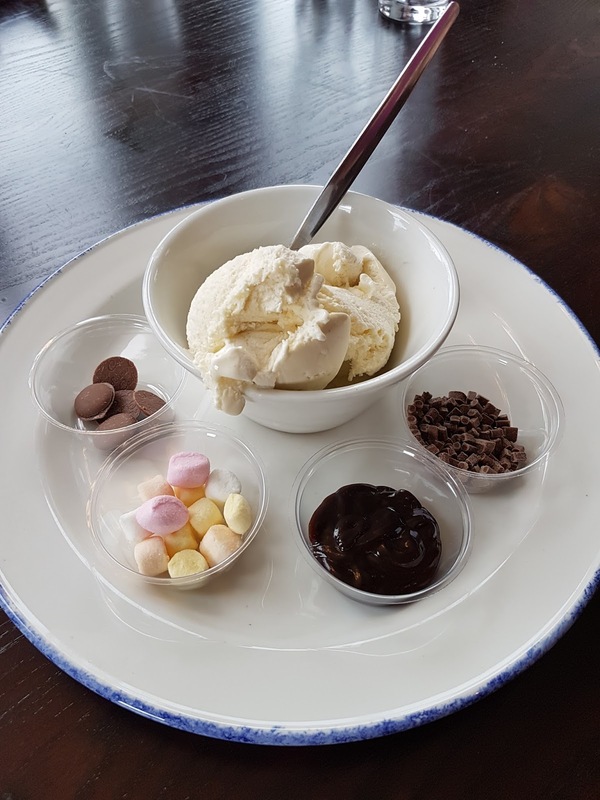 Ryan went for the safe option of a Chocolate Chip Cookie and Lily went for something a little more fun with a Build Your Own Ice Cream Sundae which was lovely. 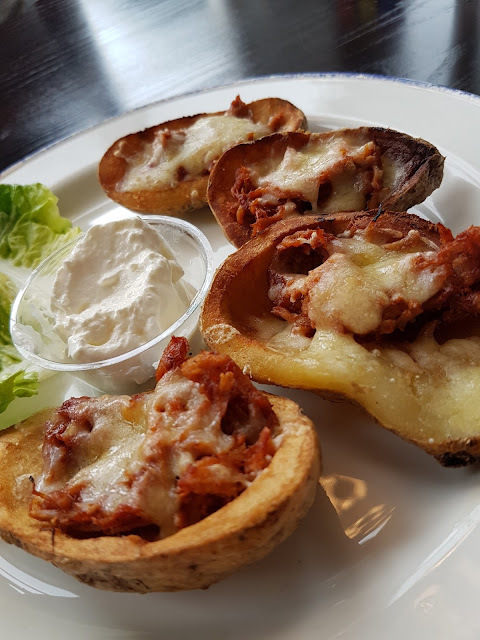 The Greville Arms in Solihull offers great food at affordable prices in a comfortable, family friendly surroundings. We enjoyed a wonderful meal and had a great time when we visited. Disclosure: We were invited for a complimentary meal in order to review the new menu. All the opinions expressed within this review are 100% honest and all my own.